An AP Style press release, or Associated Press-style press release, is a statement for the press that is correctly styled within AP guidelines. It is utilized by businesses that want to announce an event, release, or hire. It helps to increase a business’ exposure by generating possible media coverage and consumer awareness of their business. One of the most effective ways to reach top media outlets is with a distribution service, like eReleases. eReleases puts your press release in the hands of real journalists via the Associated Press, PR Newswire, and other top media outlets. You can save 33% on your first press release. When writing an AP Style press release, it is vital that you follow the accepted press release structure and format. Media outlets, journalists, and search engines will all expect to see this specific format so they can find important information quickly. To ensure you get it right from start to finish, we’ve created a template to show you essential elements and format. This AP style press release template includes a layout to follow, instructions for the headline and subheadline, and information about what should go in each section. AP is one of the largest news agencies in the world. It publishes a style handbook every year that governs the way they want journalists to format their content so everything is uniform, no matter who is writing the story. This style guide covers everything from formatting conventions to punctuation rules—and they apply to press releases as well. To properly follow AP style guidelines, only use one space after a period, as opposed to the often used double-space. AP style does not advocate for use of the serial comma. In listing a series of items, you can choose to use a comma before the last item in the series (Example: red, white, and blue). However, AP style requires removing that last comma (Example: red, white and blue). Press release writers should also be aware that headlines and subheadlines should be in title case in AP style. This means that (most) every word in the headline or subheadline is capitalized. Otherwise, you should only capitalize proper nouns. AP style guidelines require numbers between one and nine are spelled out. After that, use numerals, such as 10 or 133. You will also need to use numbers for dates, and abbreviate months with more than five letters. One way to be sure your press release is picked up by media outlets is to write with a font that is similar to those used by news organizations on their websites. This means using Times New Roman or Arial fonts. Also, for easy readability, use standard font sizes. Your headline and subheadline will be slightly larger than your body text. Besides the basic rules for the capitalization, how to write numbers and using commas, the other rules for formatting an AP style press release cover the placement of the headline, publish date, subheadline, body paragraphs, and contact information. Before you write your press release, you need to determine your audience. Press releases are written to get the attention of journalists, with the ultimate goal of gaining media coverage to increase an organization’s customer base. So you want to have a firm understanding of who that customer base is. By determining your audience first, you will be able to tailor the content of your press release in a way that interests them. “Psychographics” is the term used to describe the characteristics of potential customers, based on their interests, values, habits, and demographics. Interests – What interests does your ideal audience have? What are their hobbies? What do they read or watch? Values – What is most important to them? Do they want to support local businesses or a specific cause? Trust – Who do your potential customers trust? What businesses do they find credible? Habits – Do they have specific habits, like doing their financial planning once a year or shopping for groceries every Friday? Now you want to define the demographics of your target audience or customer. By knowing your audience’s age, gender, and even if they have expendable income, you will know what elements might appeal most to them. You can use this information to write your AP style press release so that the media highlight those attractive elements. Age – What is the average age of your ideal audience? What age range would your release appeal to? Gender – What gender is your ideal audience? Income – What income range or average household income does your ideal client fall into? Combine this information into a profile template to really get to know your audience and make sure your press release speaks to them. For more information on how to outline your audience’s psychographics and demographics, check out our article on creating customer profiles, which includes a free template and examples. Now you’re ready to start assembling content and fleshing out the elements of your AP style press release. To start, add the time when you want your AP style press release to be published or written about. This is positioned in the top right-hand corner of your press release and is in all caps. If your press release is ready to be distributed, you should include the words “FOR IMMEDIATE RELEASE” at the top of your press release. If you want the media to hold onto your press release for a certain period of time, it is called an “embargoed” release. This allows the media to prep for a news story that can be released on a specific day, without announcing your news to the public before you are ready. If you want to do an embargoed release, use the words “Embargoed for Release” and then add the date and time you want the press release and any related media stories to go live. The contact information needs to include the name, phone number, and email address of the person who can answer questions about the press release content. Add the contact information at the top left-hand of the press release. Contact Name – Your full name as the primary contact if the media has any questions. Contact Phone Number – Your full phone number with area code, preferably a mobile number that makes it easy to reach you. 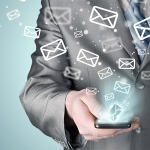 Contact Email Address – Your work address that’s easily accessible. An AP Style press release headline appears at the top and center of your press release as a title. Since the headline is usually the most eye-catching part of your press release, you want to use it to compel people to read your press release. A correctly styled AP headline is between 65 and 80 characters and in 14-point size. Tying your AP Style press release to something that is already in the news is called “newsjacking.” This is the process of taking a story that is already in the news and anchoring your AP Style press release to it. For example, a recent natural disaster might be a good prompt for a headline that talks about an event you’re promoting to raise money for environmental efforts. If you can find a news angle that ties back to what you’re announcing, you will generate interest right away by leveraging existing interest in a hot-button topic. This will direct traffic and attention to your news, as well as increase the likelihood of being placed on search engines and in social media. Use the present tense in your writing as you describe what your organization is currently doing. 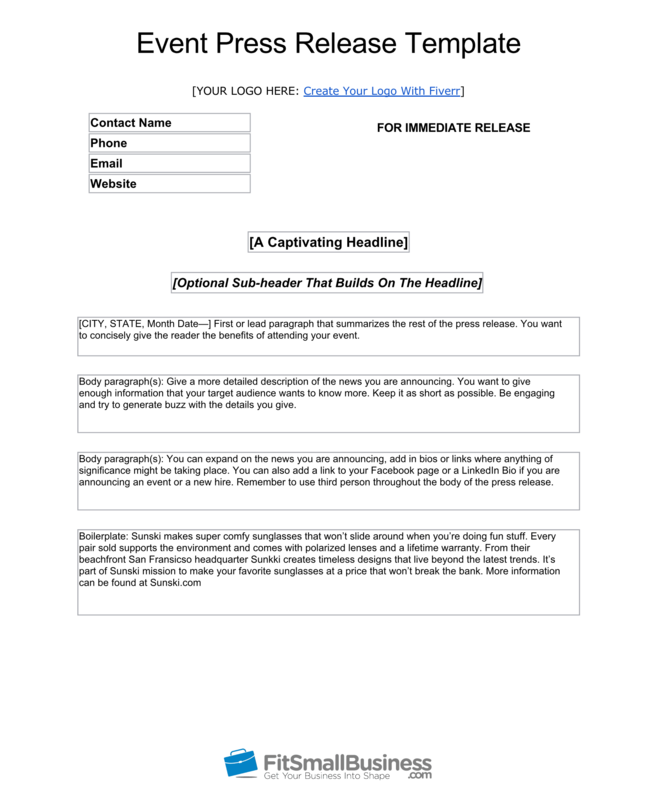 Ideally, you want to write a headline that is bold, exciting, and encourages some type of action. Keywords are the words that people use to find information through search engines. Use key phrases in both the headline and body of your press release to ensure that your release gets the most visibility online. For best results, place your keywords in the first one to three words of your headline, or in the first 65 characters. Determine your keywords by brainstorming the words or phrases your target audience might use to find a business or organization like yours. You will want to think like your audience to come up with the one to three words they would use to search for you on a site like Google. If you’re having a hard time deciding on these words, consider using a tool like Google’s Keyword Tool to give you some ideas. Subheadings allow you to capture readers’ attention and help them better understand what your press release is about. Subheadings are about 120 characters in length and appear directly below your headline. They should be formatted in 12-point Times Roman font and in title case to comply with AP Style formatting. Ideally, they should be italicized. 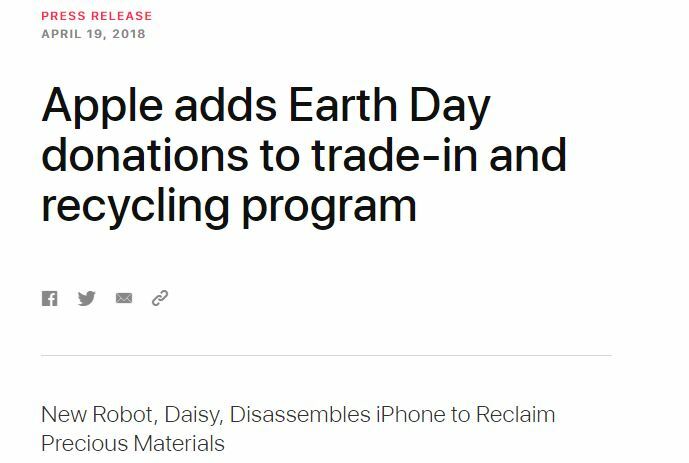 The headline below is related to a recent Apple news release. The subheadline, while more fun than the headline, adds to the intrigue and gives more information about their new donation program. The first paragraph of your AP Style press release (sometimes called the “lead”) should be a summary of the most important information in your press release, including the date. Your first paragraph should be under 60 words. If you keep it short, you will have a better chance of getting picked up by media outlets. Be sure to bold these elements and use proper AP Style—not postal codes—for state abbreviations. Many readers won’t make it past your first paragraph, so you want to give the most pertinent information here. You can start this paragraph by briefly answering the questions that your reader will want to know. But be sure you keep it short; you can expand on it more in the next step. Your goal is to summarize the entire press release in this paragraph. What – What is the news the reader should know? When – When is this news, change, or hire taking place? Where – Where is this taking place or where can the audience learn more? Why – Why is this news important? Avoid industry jargon or other words that the readers of your press release might not know or understand. It is important that your reader can completely understand what you are trying to convey. Example of location and date for an AP Style press release. The second paragraph of your press release will contain more of the details regarding your news. You want to include specifics. For example, if you’re opening a new location, include the location address, when it will be open, and any other compelling information in 300 to 500 words. The body of your press release is also where you can include quotes, images, and links. The body of your press release is where you will get into the detailed description of the news that your press release is based on and explain why it matters. You will build on the overview you gave in your first paragraph and add more details here. For example, if you have run a fundraiser for 15 years, you could mention your experience; if your new hire has lived locally their whole life, you could add this biographical information; or if an event you’re sponsoring is one-of-a-kind in your city, you can mention that, too. Essentially, you are expanding on the summary you offered in the lead paragraph. By adding a supporting quote to the body of your press release, you can add more credibility. Keep this quote around two sentences, and try to choose one that is directly relevant to the news you are releasing. The quote should come from someone who has a solid reputation in your industry or location. The boilerplate is basically the “about” section that appears at the very bottom of your press release. This is where you can write about your company’s background, awards, amount of time in business, or anything that might be of interest regarding your company. Your boilerplate should be under 100 words. 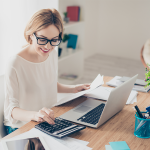 As you finish writing your press release, you should double-check to be sure you’ve followed some basic formatting guidelines. If your formatting isn’t correct, many journalists won’t look at it because it takes too long for them to find the critical information they are looking for. It will also seem to lack credibility. Also, read over your press release to be sure that each of the AP Style standards we have gone over have been adhered to. With your press release completed, it’s time to distribute your press release. This is the most important part of public relations. It’s where your press release goes into the hands of the journalists who can give your press release and your organization news coverage. Using a syndication service will ensure that you get maximum exposure for your press release by getting it to targeted media outlets and journalists that might cover it. When you use a service, you will use a form on their site to write and format your press release, and then they will distribute it for you. If you use a credible syndication site, like eReleases, for your distribution, you will be able to reach thousands of news agencies, including TV stations, major news networks like Fox News and MSNBC, and other news journals and websites. The cost for this service is typically between $99 and $300. In addition to reaching out to the media, you should always post your press release on your organization’s website to increase overall visibility. If you use a syndication service, posting your press release on your blog or website will not be considered duplicate content by search engines. In fact, posting it on your website or blog along with using a syndication service will only add to the exposure of your press release. Once you have a press release link from your website, post that link to your social media pages so that your fans and followers can see, like, and share it as well. When writing an AP style press release, there are a few best practices that ensure you get the best results for your effort. These include providing informative, valuable information; taking care to avoid being overly wordy; including images; and condensing your text to bullets where you can. Avoid Overly Verbose Language – Don’t use flowery words or get too wordy as you write your press release. You want to get to the point and consider what will capture the attention of a journalist. Inform, Don’t Promote – Your press release should be focused on giving relevant information that will compel readers to do business with you, but don’t be overly promotional. Include Media – Where you can, include an image or video that captures the essence of your press release. One to two images or one video is common. Consider Using Bullet Points When You Can – Text is more easily digested as bullet points, so consider putting any important information you can in bullets in your press release. Include a Call to Action – Having a call to action in a press release, such as suggesting a website for readers to visit, will allow for more engagement from readers. An AP style press release is a statement from an organization sent to the press. It is used by organizations of all types that want to announce events, new hires, product releases, and more. A correctly formatted and distributed AP style press release can increase an organization’s awareness and visibility while also growing their customer base. If you want to ensure that you get media coverage of the news you are announcing, look into a service like eReleases. By using eReleases, you can be certain that your AP style press release will get distributed to media outlets and journalists. Check out eReleases today and receive 33 percent off your first press release.